I have a slight obsession with the show “One Tree Hill” a.k.a. “OTH.” I think I am on my second watch through of the entire series. I don’t know why I never watched it while it was on air but thank God for Netflix; am I right? I am currently on season three and Nathan has told Haley not to lose the music because it is part of her. I stopped to think, what makes me who I am? I honestly think writing is part of who I am. I wrote a lot when I was a kid. I remember asking my second grade teacher if I could write more than a paragraph for our daily journal. Can you say teacher’s pet and nerd? I am sad that for about a year I lost my writing and I almost never wanted to do it. There were various reasons for losing my passion for writing. I don’t know why I ever let anyone push me away from my writing. It is a God-given talent. Thankfully, I have found my love for writing and that’s why this week you have gotten something from me almost everyday. My pray for today is that if you have lost what makes you, you, the spark that is left will ignite a fire. Let that fire consume your passion to be able to do what you love again. It’s a sad, sad world when you can’t be doing what you love. Oh, and today things that have brought me joy: awesome music playing on my “The Killers” station on Pandora, drinking some yummy coffee and stepping outside to feel a cool breeze. It’s rather difficult to stay positive even when you are determined to find the joy in life. For example, getting in the car to drive. It can be super easy to lose joy while driving especially in LA. I decided that I would go to a renovated Starbucks that was a few miles away the apartment instead of going to the one that is a five second drive from the apartment. 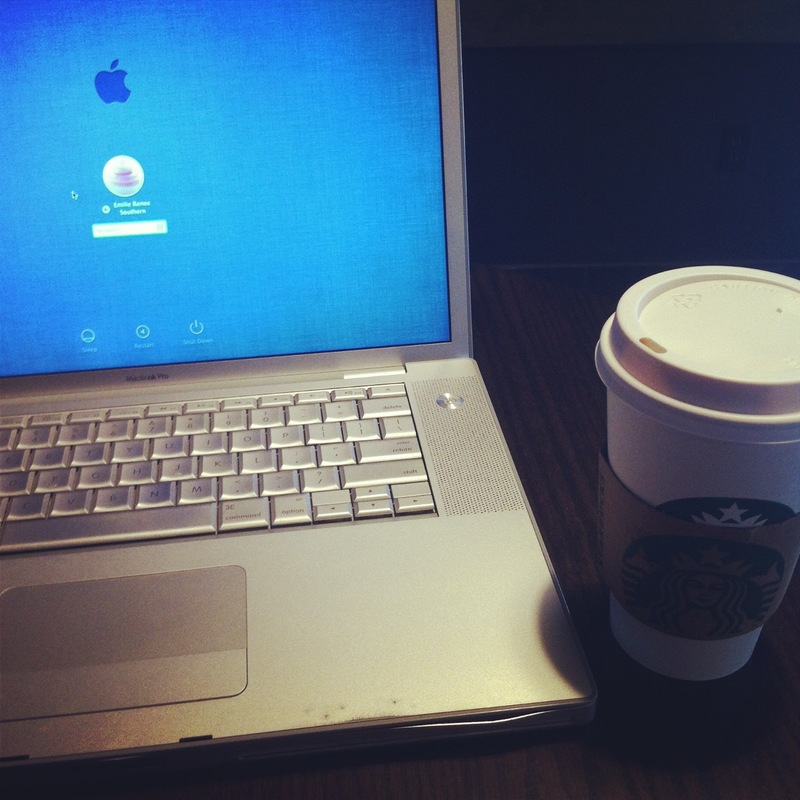 I was excited to redeem my reward from Starbucks Gold Card reward system. I found my joy in getting coffee, putting on my sparkle Chuck Taylors and getting out in this beautiful California weather. The fun began when I was pulling out of the gate at the apartment and a person was being weird. I guess the were trying to turn around but they were blocking me from getting out safely and I was blocking them from doing what they were trying to do. Thankfully, I got out into the street safely, but I did want to yell at the person. As I continue my drive I was stopped at a stop light where I was going to turn right. In case you didn’t know, people in LA street park every where. Therefore, it makes it difficult to see if cars are coming in the right hand lane. The person behind me decided I was taking too much time to turn right, so they honked. It really upset me because I was just trying to be a safe driver. I may have said some not so nice things out loud. As I stopped at the next light I realized how ridiculous it was that I let those two drivers annoy me. No one can steal my joy. 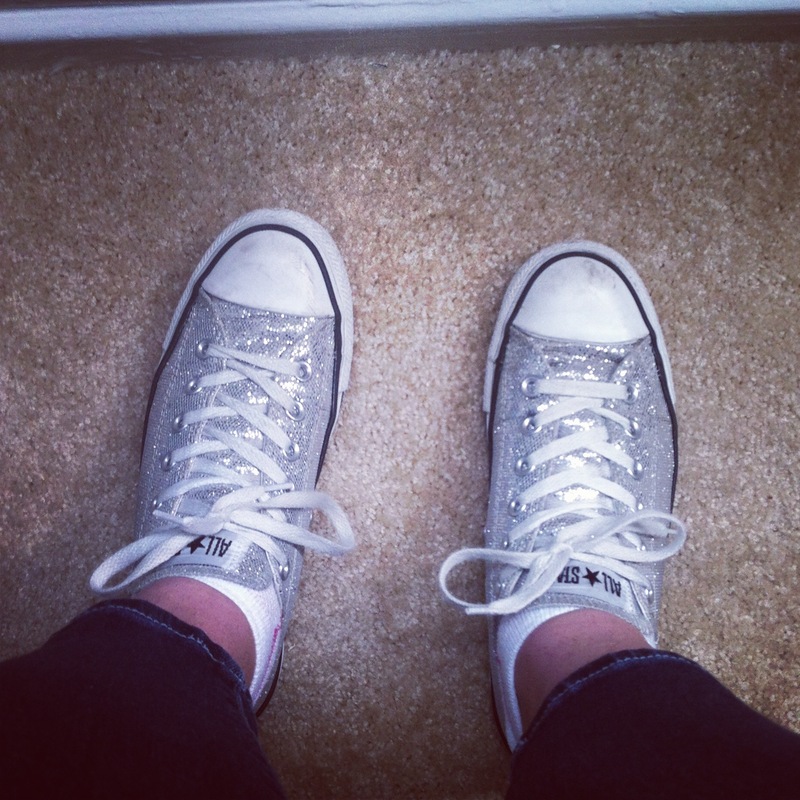 So I then got excited again because I was on my way to Starbucks to get coffee and write an encouraging post all while wearing my sparkle Chuck Taylors. Today is a good day. I would love to hear from my readers what they made today joyful for them. Leave a comment! Over the past few weeks I have had discussions with friends about not being happy with different situations in life. It has been difficult for me personally because I see others dreams come true and though I am so happy for them it makes me feel sad. I have dreams too. Why are my dreams not coming together? And then last night while talking with a good friend, she said to find joy in the little things. I guess I had forgotten about the small things that make me so happy. I love cooking and baking, I love playing games, I love dancing and I love quality time with friends and family. I should be more thankful and more joyful about being able to do those things. So my goal is to find at least one small thing everyday that brings joy to my life. Today, I found joy in getting a restful nights sleep. Praise God for good sleep and a great start to my week. You are currently viewing the archives for August, 2013 at emiliesouthernliving.